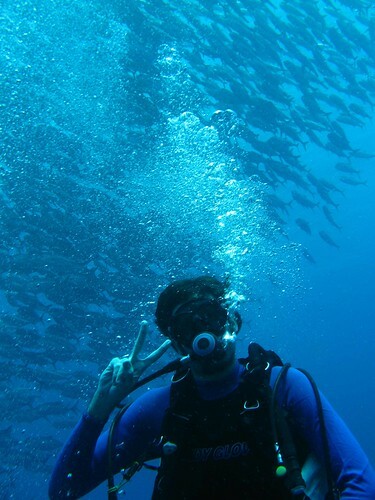 Apo Island needs no further introduction for scuba divers as it is one of the top dive sites in the Philippines. 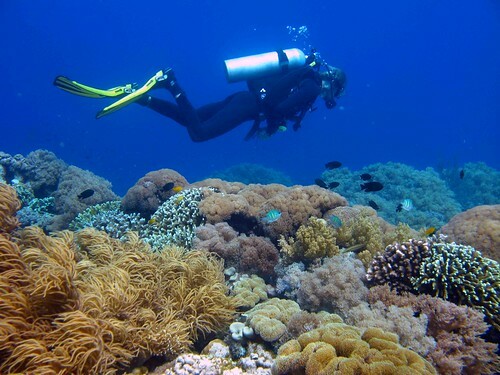 It has amazing clear water, healthy coral reef, and well preserved marine sanctuary. 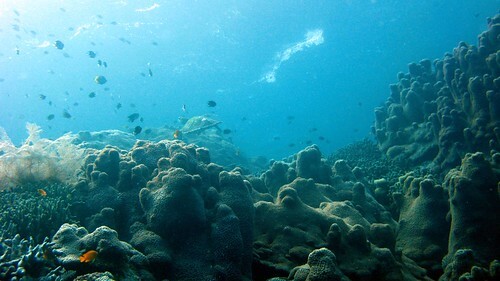 Fully geared and underwater camera ready, I was more than eager to jump into the Apo Island water once again. can you believe this clarity? I was specially looking forward to dive in Coconut because the last time we skipped it as current was too strong. It was rated 5-star site and Lu-ann described her experience here as “window shopping”. 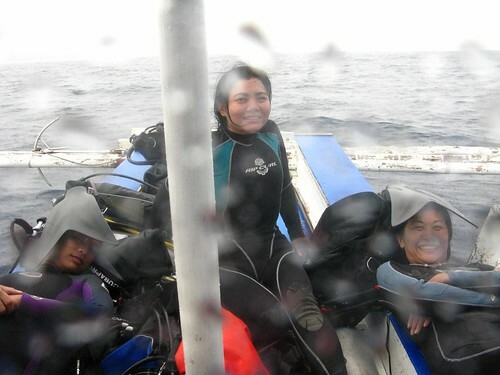 This is our first site on the 2nd day and I was a little bit nervous, as always before a drift dive. But this time, with 50 more dives later, I’m way more confident. Plus I’ll be diving with familiar group. Getting there, the sun was in full force and the water quite calm. We didn’t even have to do a negative entry. I cannot decide if I was more relieved or disappointed. he he. Strong current naturally brought in more colorful species. But it was a nice medium drift dive. The water is just so clear that you don’t feel you’re already 30m. One time Vangie even went to 35m chasing turtles, I wanted to go back but I didn’t wanna tire myself and I’ve seen turtles before. My goal in this dive trip, as with all my dive trips, is to see a shark! 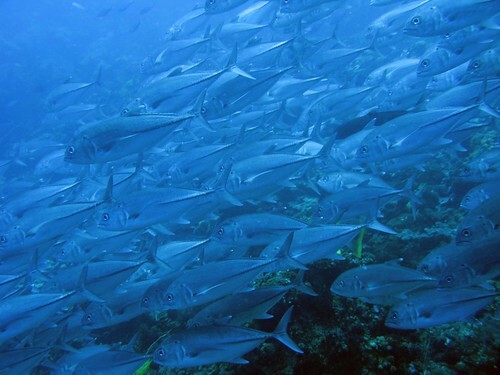 No luck in Apo Island. We saw turtle on all dives, school of jack on the last 2 dives, and very nice platform of corals. 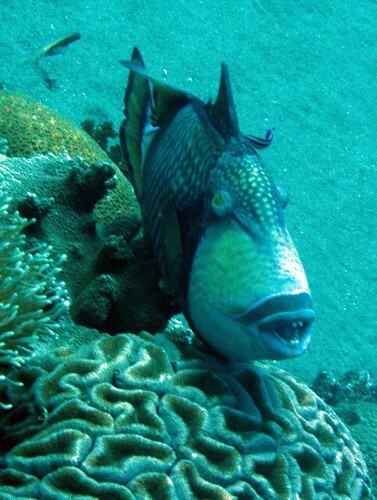 im a big fan of your dive adventures! I want your life for 1 month PLEASE. The clarity of those photos is insane!!! I so love your photos. Also I want to thank you for sharing your experiences with us.